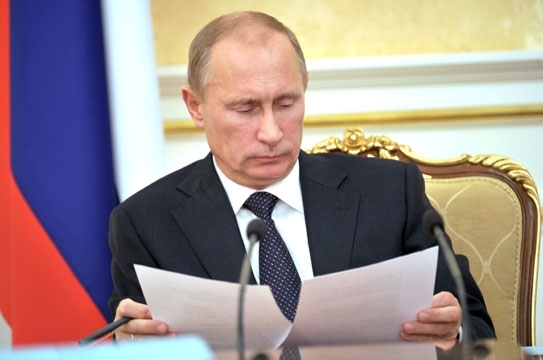 Last week, PM Putin chaired the latest meeting of the Commission on Foreign Investment and the following day the draft amendments to the Strategic Sectors Law (SSL) entered their third reading, after languishing in 2nd reading purgatory since the summer. The second reading of the SSL amendments were finally passed by the Duma on October 19, and the third reading was adopted on October 25. The Federation Council rubber stamped the law on November 8, and the only remaining step is Pres. Medvedev’s signature. This may be the last piece of significant legislation Medvedev signs as president due to the Duma elections in December and presidential elections in March. Ironically, the original SSL legislation was the last significant law signed by then-Pres. Putin on May 5, 2008, two days before Pres. Medvedev assumed office. Liberalized Threshold for Extractive Industries – previously, companies investing in oil, gas, or mining companies had to apply to the Commission if a transaction involved the acquisition of 10 percent or more of a Russian company’s shares. The amendments raise this requirement to 25 percent. Note that this follows up on last months lowering of the export duty on crude oil. Viewed in conjunction, the two policy changes suggest the Russian government is concerned about the health of its oil export industry – the cash cow that has largely fueled its ‘economic miracle’ since the early 2000s. It also indicates a realization that foreign investment is essential to maintaining Russia’s place among the leading oil producers/exporters. In some cases, the 10% vs. 25% difference may be important, but I doubt it is very many. If the Russian government was really serious about encouraging foreign investment in this sector, it would have hiked the approval requirement to the same level as every other sector covered by the SSL law – i.e., a controlling stake of 50+ percent. Furthermore, it is interesting that investors have yet to hear what relationship the extractive industries have to national security, such that they require higher scrutiny than, for example, weapons manufacturers. Exemptions for Radiology Activities – the amendments also exempt activities involving the use of radioactive materials from coverage by the SSL law. This is likely aimed at promoting FDI in the country’s nascent medical device industry, primarily in the area of diagnostic imaging (e.g., the radiocontrast elements used with CT scanners would qualify as ‘radioactive’ material). Russia has thus far failed to encourage FDI in anything but ‘screwdriver’ assembly facilities where all of the high-skill, high-tech manufacturing is done offshore, and the final components are assembled by semi-skilled Russian workers. Clearly, the Russian government would like to see a more substantial FDI than this. Notable Non-Changes – though the more liberal extractive industry threshold and radiology exemption are tangible victories for foreign investors, the SSL law amendments lack provisions addressing many foreign investors’ most significant concerns. In particular, there was no reduction in the number (42) of so-called ‘strategic’ sectors. Yes, fisheries are still strategic. Yes, television – most of it state-owned and unprofitable – is still strategic. The latter category is particularly tragic. U.S. networks are churning out more quality television than most people have time to watch, while Russian shows remain absolutely dreadful. Another non-change worth noting is that the concept of ‘control’ was not given a more precise definition. This is significant because a transaction requires Commission approval based on certain percentage ownership thresholds, OR if the transaction would result in a foreign investor gaining control over an enterprise. Although the law provides a list of examples, it is not exclusive. So there you have it – the first amendments to the SSL law, after 3+ years since the law’s passage, and 22 months since the amendments were announced. On October 24, PM Putin presided over a meeting of the Commission on Foreign Investment. In his preliminary remarks, one interesting statement Putin made related to Russia’s improvement in the World Bank’s Doing Business rankings, which were released recently. The benefit of the Doing Business rankings is that they are based on hard facts – e.g., number of procedures to register property, days to clear customs – and not ‘perceptions’ like many other metrics. So it is intriguing to know that these rankings are on the Russian government’s radar, even if they have been cited opportunistically in this particular case. Pirelli Acquisition of Kirov Tire Factory from SIBUR Group – Pirelli purchased the Kirov Tire Factory from SIBUR, based on an agreement between SIBUR, Pirelli, and Rostekhnologii. The total price paid for the tire manufacturing assets was EUR 222 mln. Polyus Zoloto FTSE Listing Delayed – perhaps the most newsworthy event from the Commission meeting did not involve an approval – Mikhail Prokhorov’s mining company Polyus Zoloto had applied to list on the FTSE. The Commission delayed an official decision on this request. According to Dmitry Peskov, the decision was not politically motivated but instead the “matter required additional work because certain documents were lacking” (“недоставало нескольких документов“). Let’s be clear – in Russia, documents can always be missing – you cannot clear a shipment through customs without a stack of paper (bumagi) as thick as War and Peace. Indeed, discretion comes into play in these situations and a decision by the Prime Minister of Russia is never prevented because a few documents were missing. Norilsk-Nickel? – news outlets reported that the Commission would consider Norilsk-Nickel’s stock buy-back plan, although there have not been any post-meeting reports on whether this was actually considered. Électricité de France S.A – during the introduction to the Commission meeting, Putin “singled out” a “very interesting and promising project” in the energy generation sector. Specifically, he noted, Électricité de France S.A (“EDF”)”plans to establish a special company in Russia that will introduce innovation and state-of-the-art technology in management and organizing the work of power-generating facilities.” The only problem is that there is literally no information on this supposed company on the web. While EDF has been active in the Russian power generation sector in the past – e.g., in a JV with Inter RAO – there simply is no reference to this new company in EDF’s press releases or on the web generally. Really? Is that it? This is the smallest number of approved deals – specifically, one – that has been publicly reported from the Commission meetings since the passage of the SSL law. What is the explanation? One plausible candidate is that the upcoming Duma and Presidential elections have foreign investors spooked and putting FDI in Russia on hold until the picture is more clear in early 2012. Of course, most of the foreign investors that have submitted applications to the Commission in the past are from the Eurozone, and the ongoing turmoil may be contributing to a dearth of new projects. Finally, the soon-to-be-law amendments, which will relieve Russian firms from applying for approvals even if transactions are achieved via offshore entities, may be putting many of the domestic/”foreign” transactions on hold until the amendments pass. Perhaps reflecting this lack of “action,” for the first time ever the Prime Minister’s website did not publish a video of the Commission meeting. Thus, we will have to commemorate this meeting with a picture of PM Putin’s [possibly final] Commission meeting studying documents. This entry was posted in Foreign direct investment, foreign investment, legal update, legislation, PM Putin, President Medvedev, prokhorov, Rostekhnologii, russia, strategic industries. Bookmark the permalink.